China Digital Times, an uncensored English-language news site focused on China, has a list of the latest terms that have been blocked on the Chinese internet. The censorship covers everything from services like Weibo (China’s version of Twitter) to WeChat (China’s most popular text messaging service with over 902 million daily active users). The Emperor’s Dream — The title of a 35-minute animated puppet film from 1947 that poked fun at Chiang Kai-Shek and his control as a puppet of the Americans. Chiang was ousted in the late 1940s by Mao Zedong and fled to Taiwan. Disney — Chinese internet users turned President Xi into a meme of Winnie the Pooh back in 2013 and Pooh has been a dissident ever since. But adding the name Disney to the list seems to mean that it’s not just Pooh that the censors are worried about. Chinese Emperor stock — After the announcement that China would be ditching term limits for president, the Chinese stock market started buying up any stock with the term “emperor,” according to the China Digital Times. oppose Qing, restore Ming — A slogan from people who oppose the Qinq dynasty. personality cult — A reference to how authoritarian leaders craft an image that demands worship and an unquestionable loyalty. the wheel of history — A term common in cultures and religions where time is seen as repeating itself, used in a dissident context as a restriction on the liberalization of China. Dream of Returning to the Great Qing — Title of a book first published in China in 2006.
change the law — Reference to the stripping of term limits for the presidency. Big River, Big Sea 1949 — Title of a 2009 book published in Taiwan that’s seen as subversive by the Chinese government. And those are just the latest additions. China Digital Times has a longer list on its website. 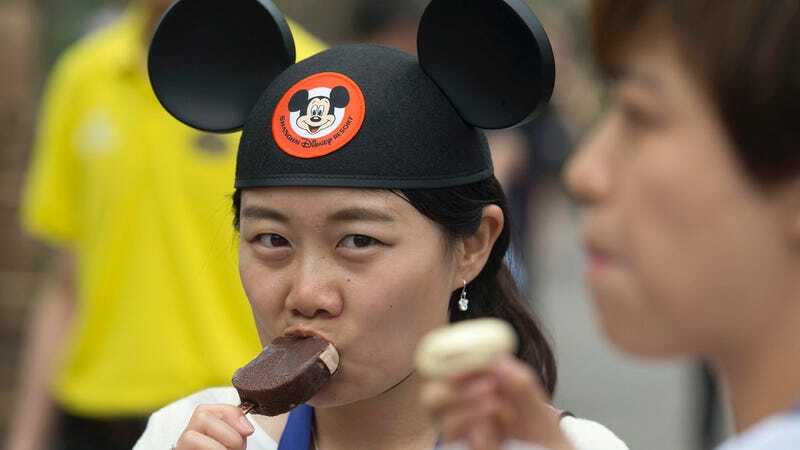 Disney can’t be too happy to see its name on the list, given the fact that the entertainment giant not only has a theme park in Hong Kong, but recently opened its first park in mainland China, called Shanghai Disneyland. But Disney can’t control what the internet decides to take up as a revolutionary symbol. There’s even a Pooh ride at Shanghai Disneyland. But we’ll see how much longer that one’s allowed to stay.